Spike Lee has directed 83 projects; that's a lot. Steven Spielberg has directed 57, and it feels like he's been around for a hundred years and been the creator of every good movie made in that imaginary century, so 83 is a pretty high number. Lee has done features, shorts, documentaries, TV; the sixty-one-year-old has been around the block and told a million tales, but his latest film might be his best yet. Chi-Raq was bold, Old Boy was a mistake, St. Anna was weird, but these modern movies aren't indicative of his talent, and it's been a long time since 25th Hour, Summer of Sam, He Got Game, Malcolm X. 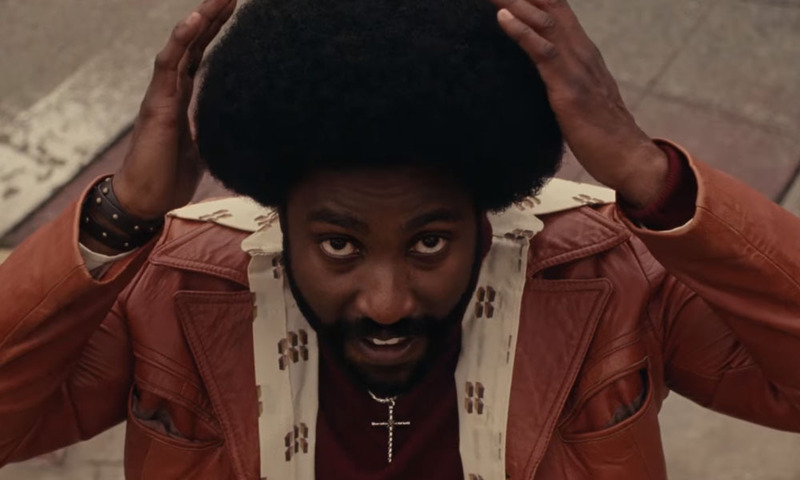 But BlacKkKlansman is a return to the magic that we know this director can conjure, and more than that, it's a modern masterpiece that right now sits at the top of the list of the greatest films of the year. Ron Stallworth is the first African-American cop in Colorado Springs history, his presence creating quite the stir. But hey, it's the 70s, black people have equal rights, they can be policemen or politicians, it's the era of free thinking and free love; all power to all the people. Still, it won't go perfectly smoothly, and Ron has to start out in the evidence department doing basically nothing. But his time to shine will come, and when it does it will be in a way he never would have imagined. On a whim, Stallworth picks up the phone and responds to an article about the KKK, calling in to see if he can join, since wow does he hate those blacks. Who answers the phone but the Grand Wizard himself, Mr. David Duke, a supremacist who thinks he can hear African blood in someone's voice a thousand miles away. Ron gets fellow officer Flip Zimmerman to stand in for him at actual meetings, and the pair infiltrate the KKK that easily, but keeping safely undercover might not be so simple. Based on an unbelievable true story, BlacKkKlansman sheds light on an ancient and evil organization, but also ties events 40 years ago to today, in such a way that you'll leave the theatre both angry and inspired to act toward change. That's the greatest part of the film; how deeply it can affect an audience, to the point where they reexamine what has happened in our country over the past two years under our Ignoramus in Chief, and realize that almost nothing that has changed for the better has been preserved, that Trump embodies racism and hatred in such a powerful and convincing way that his position has convinced those in hiding that they need hide no longer. It's sobering to think on all those who fought to make this country a better, more equal place, just to have their progress ripped away from them by a President who sees them as second-class citizens or worse. If you can't tell, this is a politically motivated movie, at least in part, and will shock any MAGA moron who somehow finds himself sitting in the audience, especially if he waits around for the final scenes. But the film isn't solely a critique on bigotry hiding behind our politicians, it's also a real life tale of bravery in the face of violence, and of the Black Power movement striving toward its goals with the knowledge that the pushback will be fierce. The film is also a comedy, believe it or not with all this heavy lifting, and will have you rolling more than once. The audacity of this story and its script is reason enough to laugh, as the characters hold nothing back; the opening scene smacks you directly in the face and forces you to focus on the ridiculousness of racism but also on its indestructible depths. 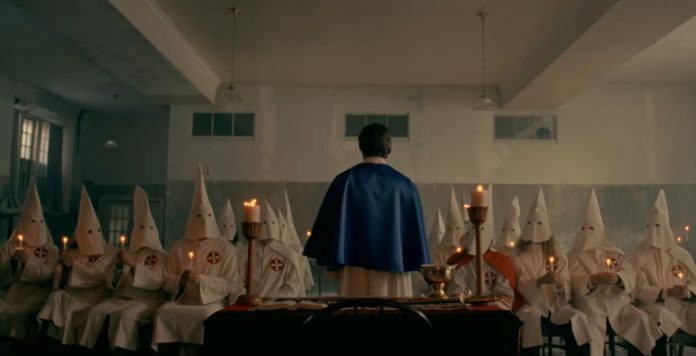 I've heard that one particular criticism of this film is its comedy, that it makes Klansman look silly instead of serious, that the subject is not laughing matter. I get that completely, but I saw it another way; Lee needed us to listen, and it's easier to take our medicine with a spoonful of sugar that straight up. Anyway, make your own social judgements, but the rest of film is as strong as its message. JDW is great as Stallworth, especially for a relatively inexperienced actor. And Driver is there to help him out whenever the going it tough; what a phenomenal actor. Topher Grace was somehow perfect as David Duke, Corey Hawkins had a nice cameo, Ryan Eggold is an unknown actor I love, and all of the Klansfolk were successful in what they were asked to do. 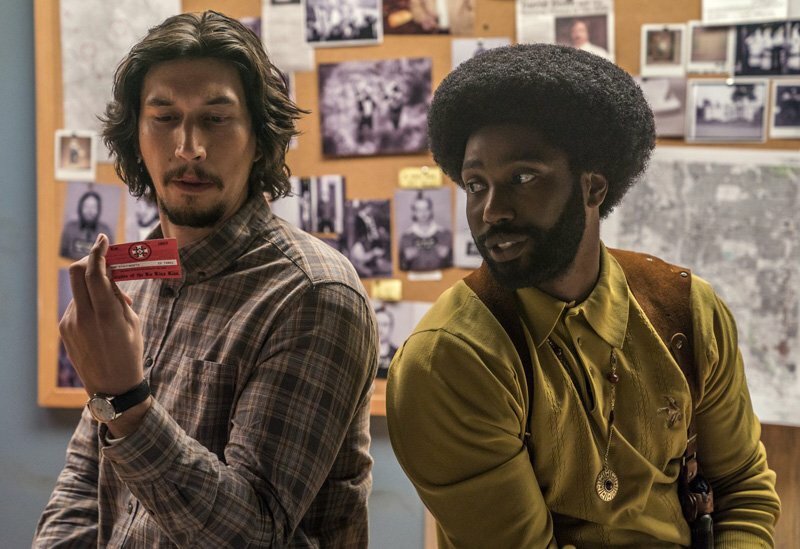 BlacKkKlansman is the best film I've seen in 2018 so far; it's well-made but also made with a purpose, which makes it fun to watch and impossible to ignore.